struggling with depression is hard work. Throw in other obstacles that living a life and being a parent gives you and sometimes it gets very dark and lonely. I have many ways of achieving success everyday, but there are days when I almost do not. That’s the harsh reality of depression. Some of us don’t make it. To remind myself that I have to keep doing the hard work, always keep fighting, and never give up I made myself a mandala in Wink’s memory. Sadness is innermost, but I must let the light in, for it warms me, surround myself with love and allow some sadness to just be. It’s okay to be sad, and it’s okay to be happy. This entry was posted in Crochet and tagged #MandalasForWink, a creative being, crochet, depression, mandala. Bookmark the permalink. Hugs. This is such a difficult thing to go through and I’m so glad that you took time for important self-care to cope with it. If you haven’t seen it yet, you might be interested in #MandalasForMarinke, my collaborative crochet art project to honor her creativity, provide a creative outlet for our own grief and raise awareness about depression. 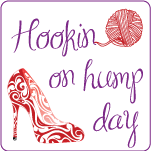 Info on the Crochet Concupiscence blog. make your own Sparkle & Doom Designs designs! 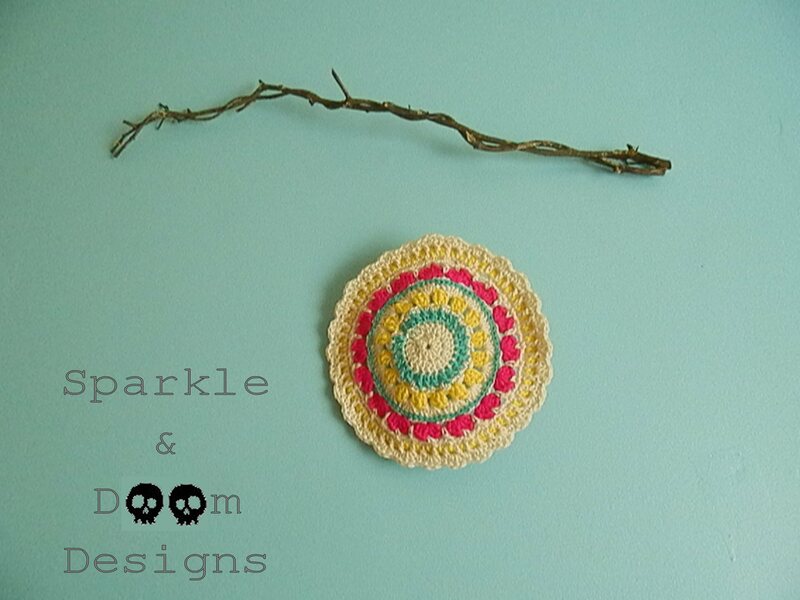 Sparkle & Doom on Facebook!